I love poke cakes!! I recently discovered their fabulousness last year and have been addicted ever since. There are so many different varieties you can make, any combo you can think of you can make into a poke cake. I feel they are the perfect spring/summer dessert because they are cool and creamy and they travel perfectly to any get together, bbq or potluck you go to. They are always are big hit and get devoured whenever I make one so today I wanted to share my latest poke cake creation, Tiramisu Poke Cake. I was inspired to make this poke coke since my grandma absolutely loves Tiramisu and I always have such a hard time finding ladyfingers so I always have to substitute them somehow like making a Tiramisu trifle with pound cake and so on. 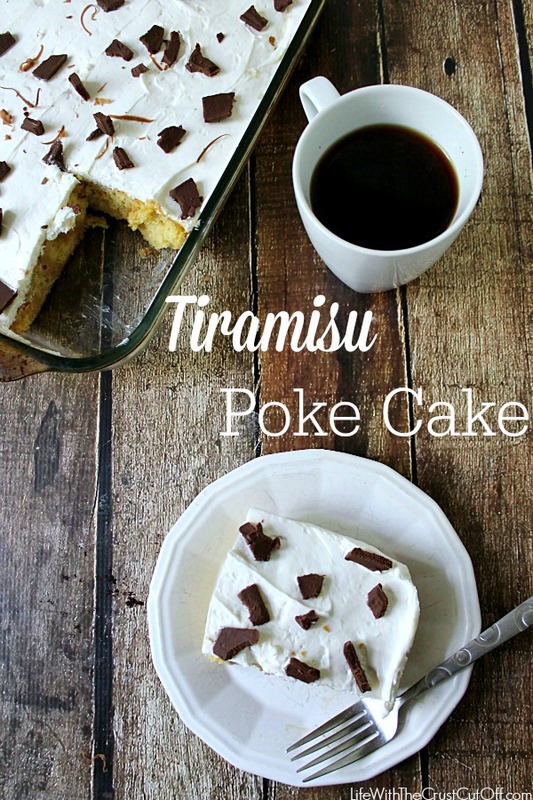 I think this poke cake fits the bill and I love it!! It is delicious, creamy from the whipped cream and cream cheese layer, sweet from the yellow cake layer soaked with sweetened coffee. 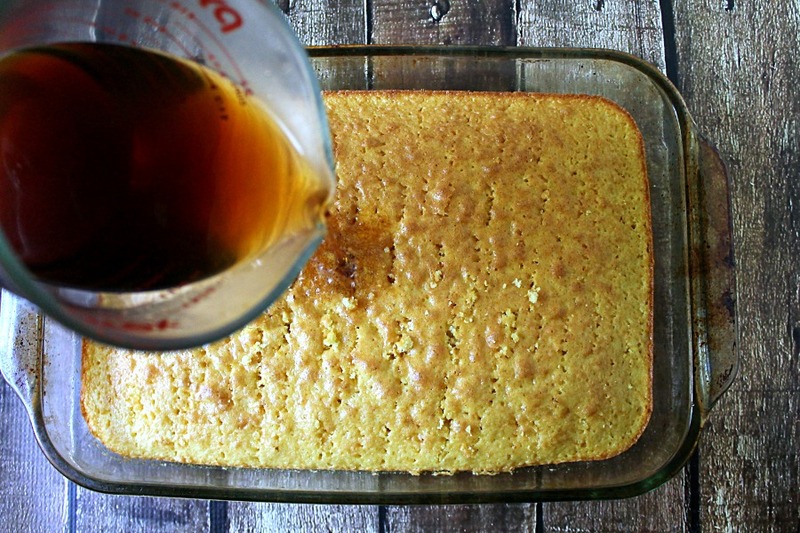 This cake is so insanely delicious and you can add a twist by reducing the amount coffee and replacing it with some of your favorite creamer so they possibilities are endless there! 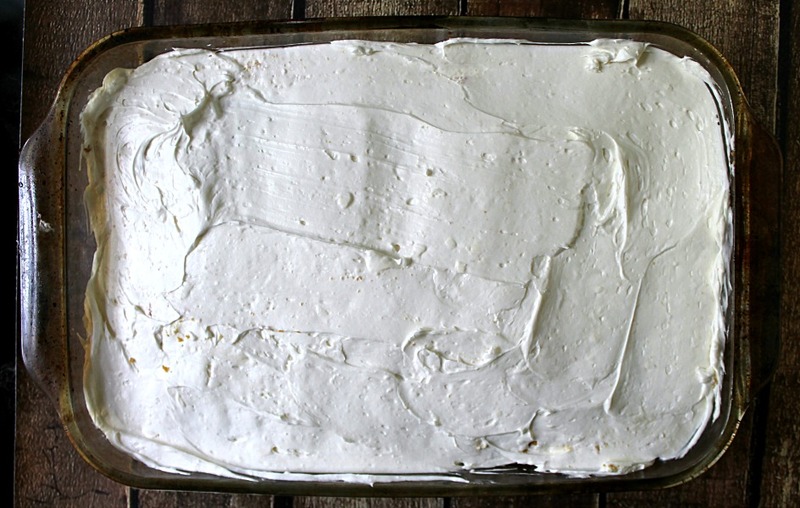 This poke cake is so easy to make! 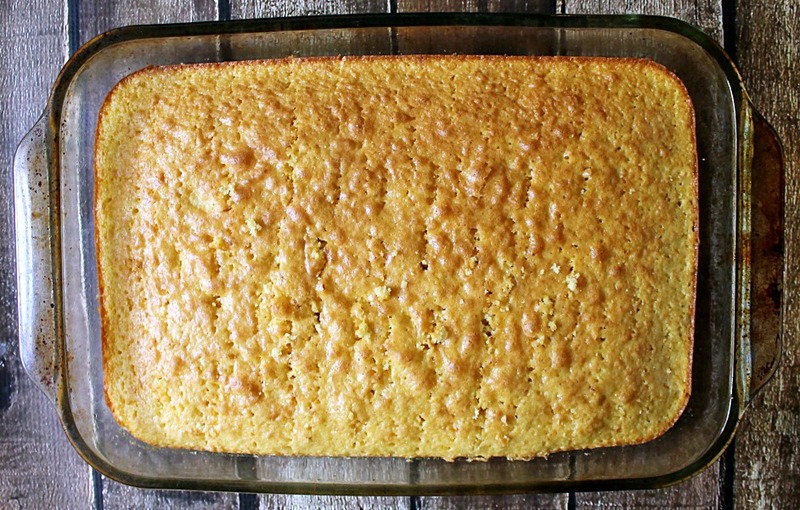 Just bake and cool a yellow cake mix, and poke it all over with a fork. Then pour sweetened coffee all over the cake. Then add the whipped cream/cream cheese mixture. Add some chopped up chocolate, chill and serve. 1 yellow cake mix mixed to directions. Mix the yellow cake mix according to box directions and bake in a 9x13 greased dish. Cool cake and poke all over with a fork. Mix 1 cup brewed coffee with 1/4 cup sugar. 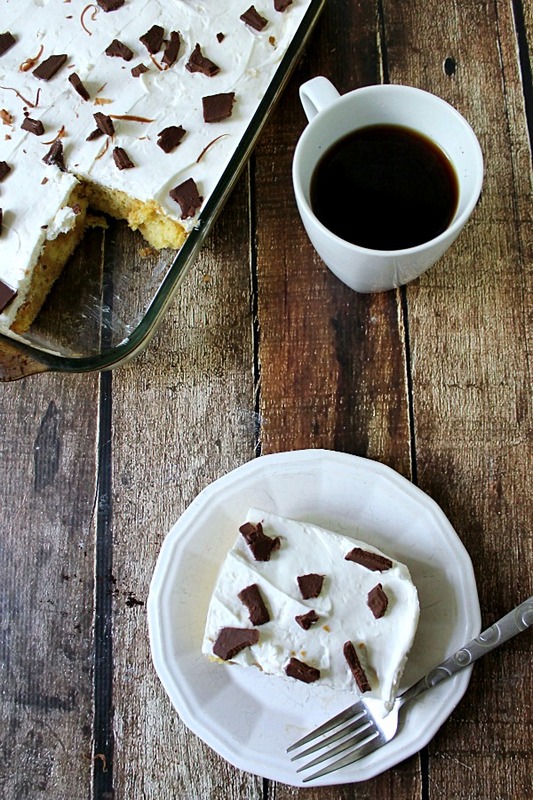 Pour sweetened coffee all over cake. Beat remaining 1/4 cup sugar, cream cheese and whipped cream till blended. Chill for at least 4 hours and serve! I really hope you give this recipe a try, it is perfect for entertaining and everyone will love it!! My husband loves tiramisu so I’ll have to try this quick version. pinned for later. I recently saw this recipe shared by a friend on facebook. My husband and I love tiramisu, so I knew I had to try it. I made it for his birthday about a week ago. It was AMAZING! This was easily the best cake I’ve ever tasted! My Mom loves tiramisu, but my Dad doesn’t like coffee (or tiramisu), so I sent a couple of pieces home with my Mom. She told me that this tiramisu poke cake was easily as good as any tiramisu she’s ever had from a restaurant. This is an award-winning recipe! Thank you for sharing it! I’m looking forward to trying this. 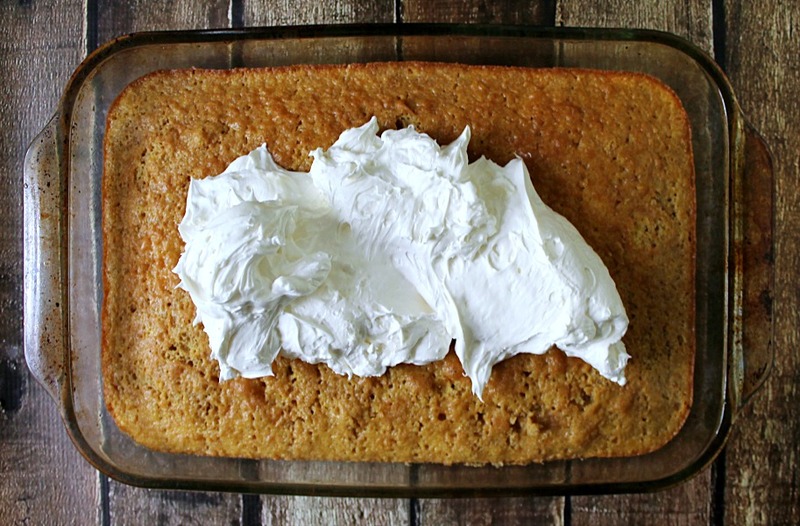 If I use Cool Whip instead of whipped cream, should I still add sugar to the cream cheese or will that make it too sweet? Thanks! I think it would still be fine to add a little sugar to the cream cheese.